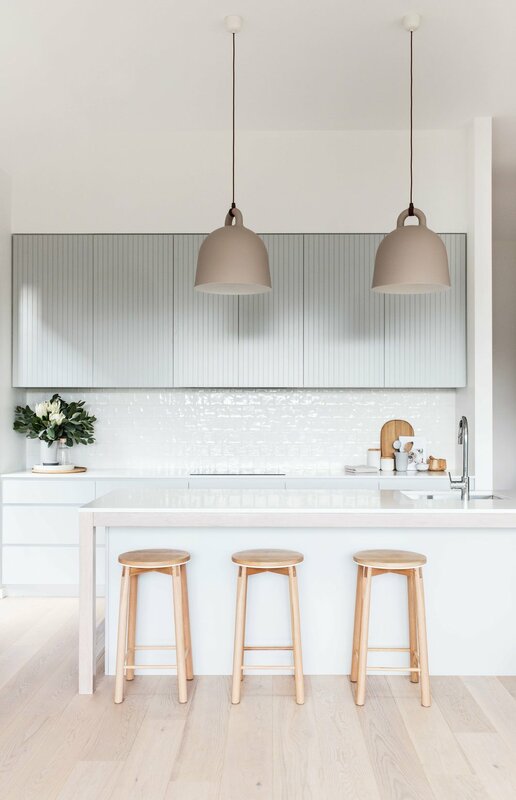 This week I sat down with the amazing Reece from U-Neek Interior Solutions and asked him some key questions about custom joinery design for kitchens. U-Neek are so talented and our go to team when we need beautiful custom joinery! Trust me, with their eye for detail they can do no wrong! What would you say are peoples biggest mistakes when planning a kitchen? Research! It is important that you do your own research and save images of finishes and designs that you would like or be able to incorporate. I have lost count at the amount of clients that I go to meet and they have no idea on what they want. Although we design and recommend finishes it also helps us if you are prepared. Are there any cost saving tips you can recommend when it comes to designing a kitchen? Most clients want drawers, pull out units, spice racks, bins and mechanisms for plates etc. These items are great but they do cost a pretty penny so l would say try to not go overboard and work with the basics if these items won’t suit your budget. What are the most common finishes your clients are using in their kitchens? Definitely polyurethane finish with finger pull handles. We are also seeing an increase in the use of timber grain finishes whether it’s Veneer, Polytec Ravine or Laminex Riven finishes. “V” groove details are also very popular! 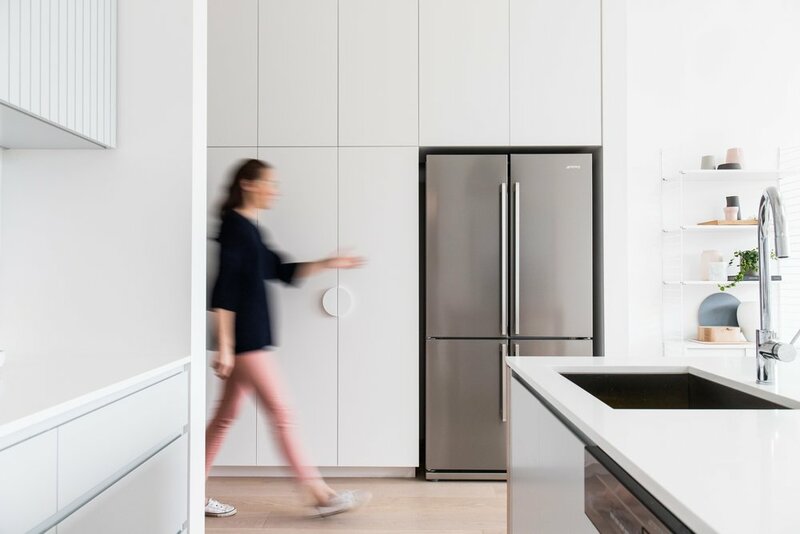 Tell me your thoughts on integrated appliances? I love integrated appliances, although it’s extra work for the manufacturer they provide a clean, sleek finish to your kitchen. If budget allows I highly recommend integrated appliances! What do you think about pull out pantries versus a standard pantry? Personally I’m not a huge fan of a pullout pantry. I prefer to have inner drawers with a stone top or fixed shelf at bench height with profile shaped shelving above. The profile shelves help to access the hard to reach items that are usually stored in the cupboard and are generally forgotten about. Do you think drawers or cupboards? Again personal preference, but I’m a drawers guy. Everything inside is easily accessible and more clients these days are finding that it keeps everything neat and in order with a few added accessories like the plate holders and spice racks etc. Why should I invest in my kitchen? If I go for cheap and cheerful, where am I likely to come unstuck in the years to come? Investing in your kitchen is a no brainer! Kitchens sell houses and are generally a meeting point or the hub of any home. To me kitchens are an investment and you don’t want to do it in halves. 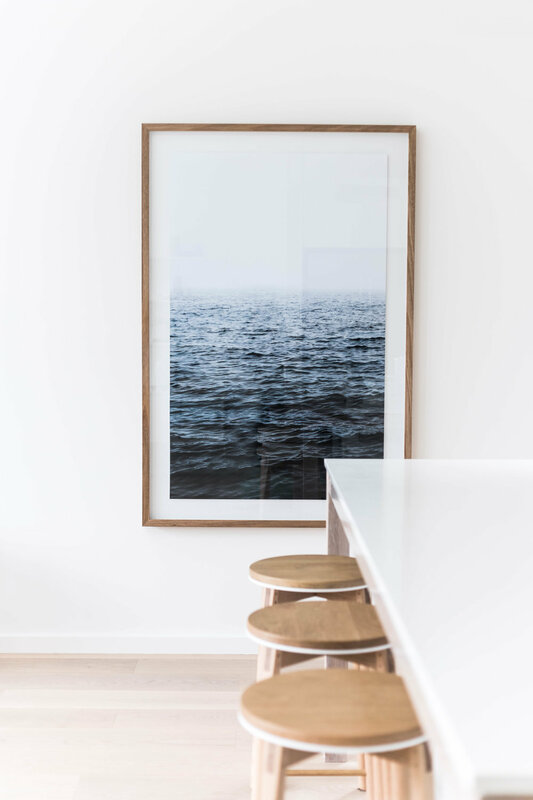 For example, although we can reface kitchens we don’t recommend it as attaching old cupboards and new doors still have their issues with sagging over time. Also warranty will be void as there is no guarantee that the old carcasses will last or still have the structural integrity required. If you don’t have the budget then maybe postpone and try save your pennies for another day!